/ What happened to Minesweeper in Windows 10? There are some games that have absolutely become core to the overall Windows computing experience. None more popular than Solitaire, of course, but running a close second is Minesweeper, a sort of one-person Battleship game that revolves around logical deduction skills. Both of these were removed from Windows 10 somewhere along its evolution for reasons I cannot possibly explain (disk space? negative feedback about games on a serious computer? revenue opportunities?). Fortunately they’re both available for free through the Microsoft Store. In fact, I’ve written previously about how to restore Solitaire to your Windows 10 system if you’d like to restore that game too, so check that out. 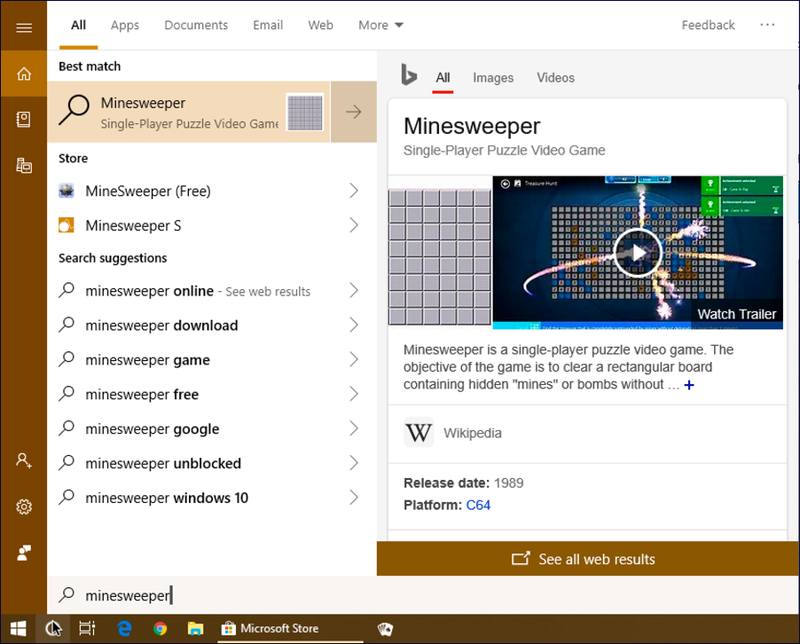 In terms of Minesweeper, it’s a bit puzzling because even though Microsoft has its own official version of the game for Win10, it’s a third party app that shows up by default if you do a rudimentary search through Cortana. Let’s jump in and I’ll step you through this <ahem> minefield so you can get back and running on Minesweeper! In fact, it shows a Wikipedia page instead of a link to the game. 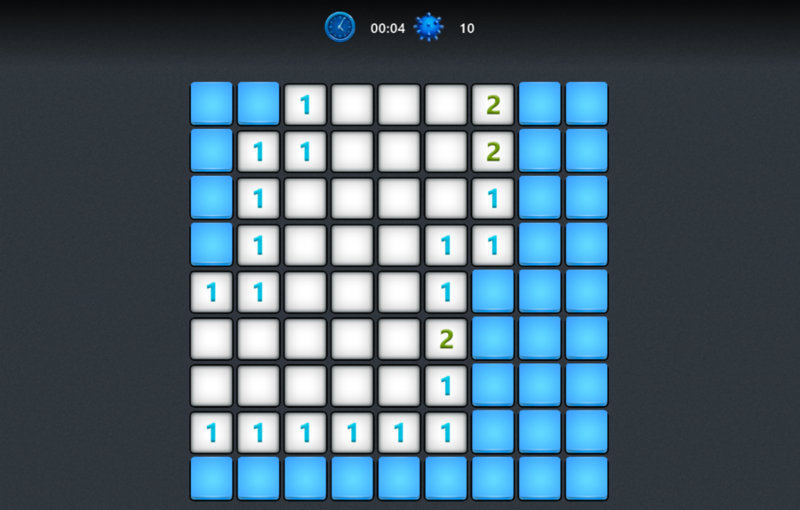 And the “MineSweeper (Free)” link on the left side? That’s the wrong version of the game too. Well, it’s not “wrong”, it’s just an independent game developer’s version, not the Microsoft version. You’ll see what I mean in a moment. There are three matches. 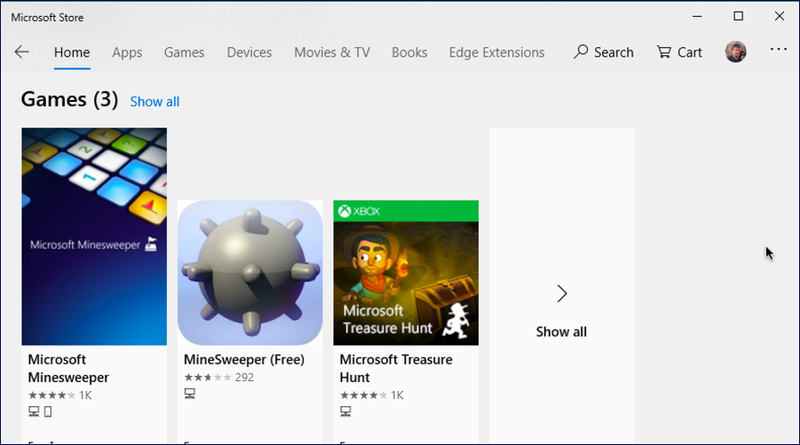 Microsoft Minesweeper with a 4-star rating, MineSweeper (Free) with its 3 stars, and, for reasons I cannot explain, Microsoft Treasure Hunt, which ain’t what ya seek. Eventually, depending on your network connection, it’ll be installed and ready to play. Yay! Can you see it highlighted on the left side? It even says “New” underneath! Choose “Pin to Start” and it’ll add a “tile” to the graphical portion of the Start Menu. Now any time you want to play the game, all you have to do is click to show the Start Menu and click (or tap, I know) to launch Minesweeper from its bright, colorful icon. Pro Tip: I’ve been writing about Windows since the earliest generations of the system. Please check out my extensive Windows help tutorials while you’re here on the site. Thanks! I have managed to grab this game in its original form in a folder on my computer, win 95, so yea, it’s one of the original versions and NO! no one can have it or a copy of it.. due to its copyright protections.. It came with my 198.00 windows install of w98 in 2000something..